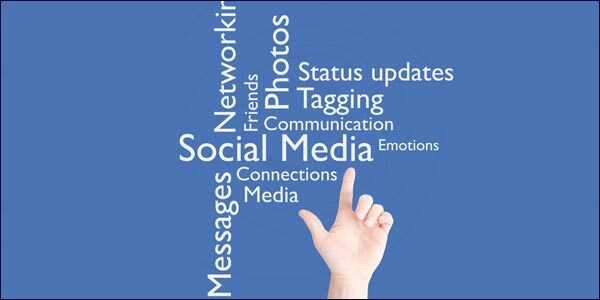 Social Media Marketing Is Widely Used But Poorly Understood By Many UK Businesses. Posted on 3rd May 2012 at 09:36. A surprising number of businesses are still confused about social media marketing. They understand that it’s trendy and that all their competitors are using it; they also know that it’s probably good for the profile and profitability of their business at the end of the day. Unfortunately what they don’t understand or appreciate is how to get the best out of it. That at least is the conclusion of the latest survey by EPiServer, the Swedish developer of content management and portal solutions, reported on the Marketing Pilgrim website. So what led EPiServer to draw such surprising conclusions? EPiServer surveyed 250 UK marketing decision makers and found that their opinions on the social media marketing medium were muddled at best. Every business seemed to approach the problem from a different angle. On a positive note 77% of the businesses surveyed claimed to be running and actively participating in some form of online community. 35% of these businesses had been doing so for over a year. 30% of those businesses with a social media marketing strategy said it’s increased their customer loyalty, 25% claimed it increased web traffic, and 21% claimed it was responsible for a direct increase in sales. But here’s the shocking news: only 10% of the businesses polled had a definitive strategy for measuring the effectiveness of their social media marketing efforts. Statistics like that do beg the question – how do you judge whether the time and effort you’re putting in are worthwhile? What else did the EPiServer survey shed light on? Well, the average marketer spends roughly an hour or so a day on the social media platform; however, only 45% of the respondents actually monitor their own communities and blogs. The difficulty comes in the interpretation of this statistic: does that mean that the majority don’t monitor at all, or do they subcontract the work to someone else like a dedicated IT professional with social media responsibilities? It’s difficult to tell, but 40% of those surveyed did say that they don’t employ a dedicated social media person. So who is actually tasked with running social media? 22% of companies already have a social media or community manager. 28% of social media activities are run by a marketing executive. 14% by a PR executive. 16% by the IT manager. EPiServer says that many companies are overwhelmed by the entire process, and fail to understand what might be termed as best practice. Only 24% of those surveyed use one platform to update multiple accounts, and only 6% had their social media results centralised, meaning that the majority are processing Facebook, Twitter, LinkedIn etc. individually, by logging in and out of each account to perform updates. That’s grossly ineffective and time-consuming. What then happens as new ‘must have’ social media phenomena come along like Pinterest, Google+ and Tumblr? Do these companies then have to do the same again? If so the 52% of the respondents who claim they’ve had to increase the amount of time they spend on social media will simply rise exponentially. Has Facebook Taken The Hint And Pulled The Plug On Its New Trending Articles Insert?Optimise For The Local Market For Better Business Results.